Mercy is fortunate to be the beneficiary of endowed funds – those in which the original principal is never spent and the gift exists in perpetuity. Income from an endowed gift is distributed annually in keeping with the donor’s wishes. There are many ways to participate in sponsoring a Mercy girl's education. Mercy makes every effort to control tuition costs, but for some families, a Mercy education may still be out of reach. Inspired by Catherine's story and dedication to young women? You can embody the vision of Catherine by sponsoring a Spirit of Catherine Scholarship awarded to a young woman of Mercy. The SOC Scholarship was initiated in 2008 in response to the growing need for student financial assistance. This scholarship is awarded to an incoming freshwoman with demonstrated financial need. By choosing this scholarship, you will be paired with one incoming student. Your support remains with the same student throughout her four years. You will receive letters and updates from your student regarding her education and success, and will join the many other SOC donors at a yearly luncheon honoring your support. Donors wishing to give the gift of a Spirit of Catherine Scholarship pledge between $1,000 and $10,000 a year for four years. This special gift can be fulfilled annually, in a one-time payment, or through installments. Over forty girls receive the Spirit of Catherine Scholarship through the generous gifts from donors like you. 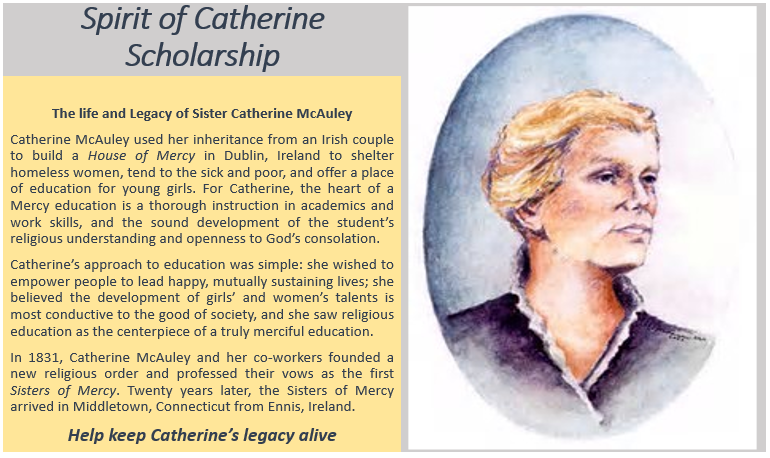 Be the one who embodies the spirit of Catherine McAuley and makes the Mercy experience possible for a student in need. 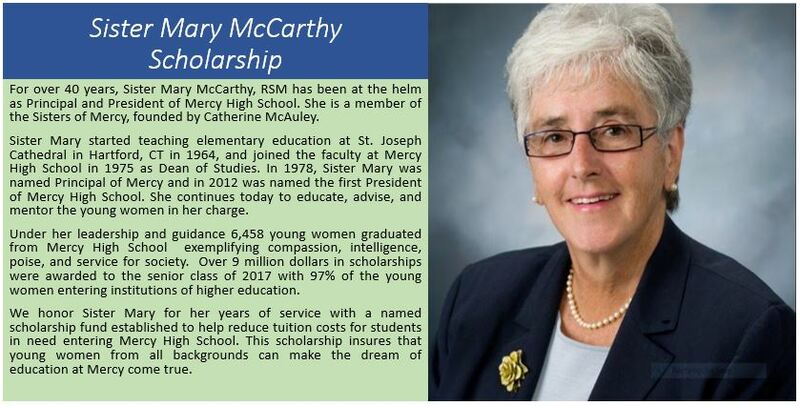 The Sister Mary McCarthy Endowment Scholarship was established to assist families in meeting tuition requirements. Young women entering Mercy High School now have the opportunity of a Mercy education, spiritual guidance, and service recognition through your generous donations. 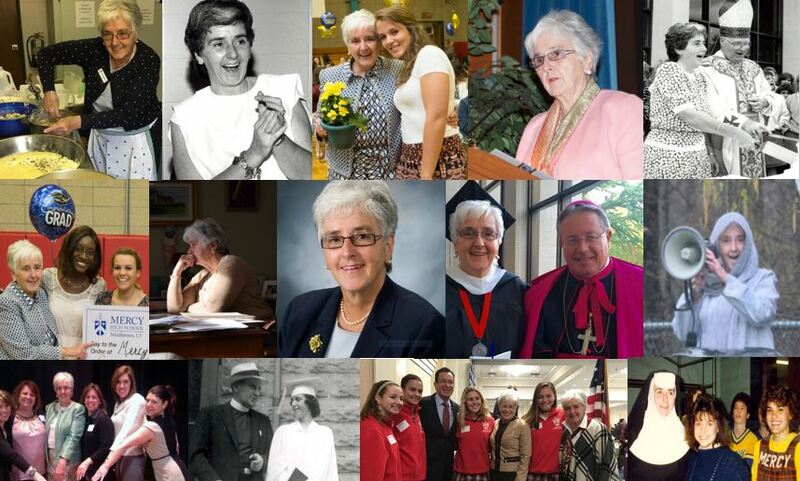 For her years of dedication, kindness, and leadership please help us fund the scholarship named for a woman who has given her life to God, service, and the instruction of young women.